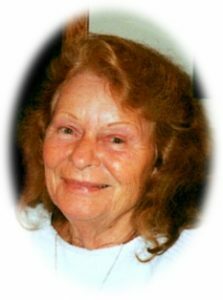 Carol R. Noltze Capelle, age 92, of Elkhorn, WI, formerly of Port Washington, WI, died Friday, February 24, 2017 at Mercy Walworth Hospital and Medical Center in Lake Geneva after a brief illness. She was born on September 19, 1924 in Port Washington; daughter of Charles C. and Elizabeth Egerer Lauters. In her youth, Carol worked in an artillery shell factory during the war and a bean factory. On June 14, 1944, Carol married Marvin Noltze of the town of Grafton at St. Mary’s Catholic Church. Within a few years the Noltze family moved to Elkhorn where Marvin started his construction business. Marvin passed away on June 22, 1958. Carol met and later married Howard Capelle of Cedarburg in 1961. They continued to live in Elkhorn. He preceded her in death March 23, 1999. A strong independent woman, Carol took great pride in her home and yard, well into her golden years. She enjoyed her grandchildren, sewing and oil painting during her life. She had been a member of St. Patrick’s Parish in Elkhorn for many years. Carol is survived by her son John “Jack” (Linda) Noltze of Elkhorn; her grandchildren Amy (Roger) Bates of Delavan and Chad (Olivia Tucker) Noltze of Mauston; two great-grandchildren Matthew Bates and Maelin Noltze; her sister Betty (the late Robert) Bertram of Grafton; nieces, nephews, other relatives and friends. She is preceded in death by her two husbands, two sons Robert and James Noltze and two brothers Donald and Charles Lauters. Memorial Funeral Services will be held at 1PM Saturday, April 22, 2017 at the POOLE FUNERAL HOME/Crematory, 203 N. Wisconsin Street, Port Washington, WI. Family will receive relatives and friends from 11AM-1PM Saturday at the funeral home prior to the service. Interment will take place at St. Mary’s Cemetery in Port Washington. Next Post: Miller, Kaye N.
She was the epitome of beauty and sophistication. Jack;so sorry about your Mom. Our prayers are with your family. Piece be with you.